High fashion and flawless skin make a perfect pairing, so it’s no surprise that designer Victoria Beckham turned to SK-II to prep the faces of her models backstage at the runway show of her Autumn/Winter 2015 Ready-to-Wear Collection during New York Fashion Week. “The girls’ skin is always really important to me – particularly this season, as we were applying a smudged eye, so the skin had to be perfect,” said Victoria Beckham. Working with legendary makeup artist Pat McGrath to achieve a sophisticated, fresh-faced look, SK-II prepped the models’ skin using the signature Facial Treatment Mask, Facial Treatment Essence, and Facial Treatment Essence-Eye. Here’s how to replicate the radiant, runway-worthy skin as seen at the Victoria Beckham fashion show in three simple steps. 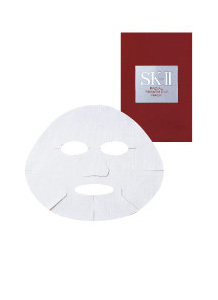 While models were getting their hair and nails done, SK-II placed Facial Treatment Masks on their faces prior to makeup application. “This was an essential step in our beauty routine as we needed to start with hydrated, healthy skin,” said Pat McGrath. Designed to mold closely to the contours of the skin, the mask gives lasting hydration and a smooth, radiant glow to skin. 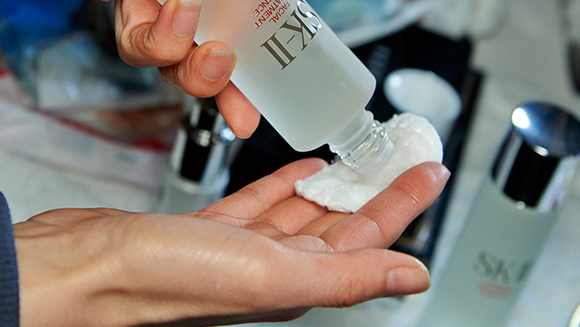 With a 6:00am call time for backstage prep, SK-II moisturized and awakened the models’ faces by gently massaging Facial Treatment Essence into their skin using a cotton pad. The renowned “miracle water” also evens the skin tone and strengthens the barrier function, keeping skin supple and soft. Smudged eye liner was Pat McGrath’s key focal point for the runway show’s beauty look, so SK-II provided a perfect base for eye makeup by applying Facial Treatment Essence-Eye to the eye area. In addition to reducing the appearance of dark circles and fine lines, Facial Treatment Essence Eye provides a smooth, even canvas for eye makeup. I love what the SK-II Facial Treatment Mask does for your face. It’s so rejuvenating.